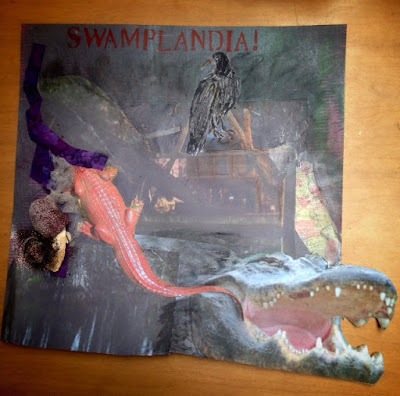 For July we read, "Swamplandia!" by Karen Russell. The novel is about the Bigtree Family at the decline of their alligator wrestling themed amusement park in Southern Florida. Most of the participants agreed that they enjoyed the book... except for the ending. Since the book is mostly narrated by a twelve year old girl (and her older brother) both growing up isolated in the Ten Thousand Islands on a theme park, the book has a fairytale-like quality. The book opens with a quote from Alice in Wonderland, foreshadowing the fantastical twist the book takes. After I discovered that the author mostly wrote short stories, it made sense. Even though there is an overall story arc, Swamplandia! is in part a collection of stories. The stories stem from the Bigtree family and the people and places they encounter, studded with facts about alligators and the mysterious history of Florida. 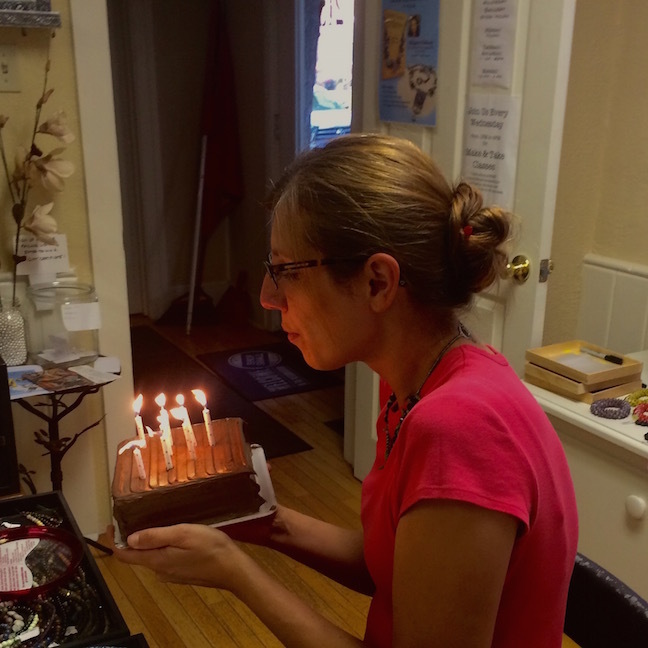 Here's Amy blowing out candles on the cake. The night before the meet-up we all tried to figure out what kind of birthday cake they had in a scene in the book. As we researched it, it turns out they didn't say... only that it was stale. For the sake of Amy and the rest of the members, we thought we'd deviate from being too authentic. We always have a good time at the meet-ups. For many of us, it's one of the few times in the month where we can just relax and catch up. 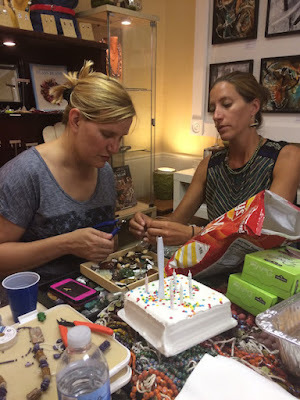 It's a good excuse for us to get together and bond over books and creativity. 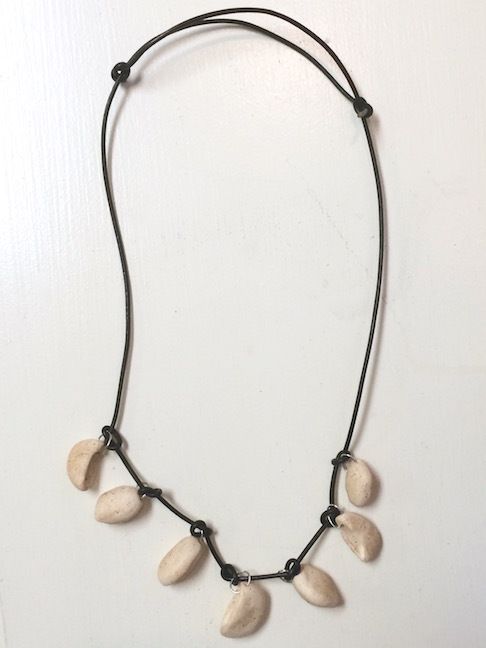 This necklace was made by Amy. 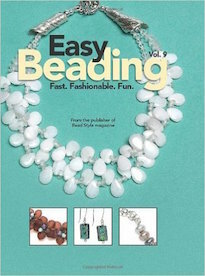 Here's what she had to say about it: "When I picked out the beads for the necklace, I didn't really know what I was going to make. Then I read the book and it all clicked into place. 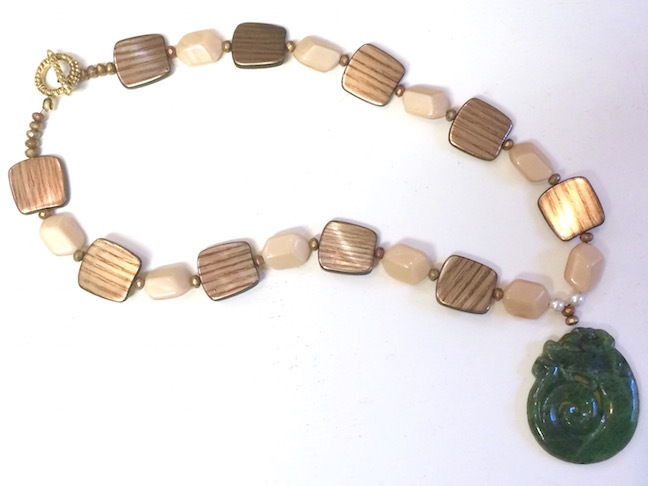 The necklace is mostly made up of green Czech glass. 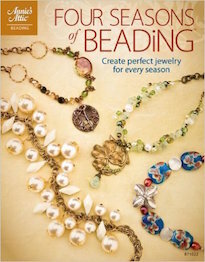 I made sure to include one purple bead for Osceola, who wears a purple turban, skirt and ribbon throughout the book." Dawn made this necklace. 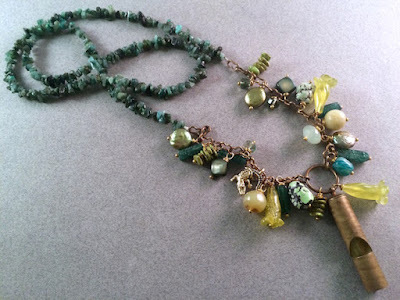 Here's what she said about it: "I recycled an old necklace and mixed it with Czech glass. I hadn't worn the original necklace for awhile. So this was a nice way to give it new life. I hung a carved jade dragon from the necklace. The dragon looks like an alligator to me and the green symbolizes the swamp." Terri made this necklace. 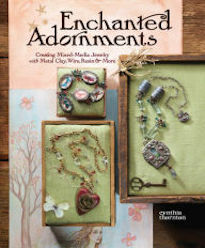 Here's what she said about it: "Within the first twenty pages, I knew I wanted to make something with alligator teeth. I made the teeth out of polymer clay and since I didn't think the alligators brushed, I used cinnamon to age the teeth a little. It looks like something that might have been sold in the Swamplandia! gift shop." Laurel made this necklace. Here's what she had to say about it: "At one point in the book, the main character is fleeing and while she's running she encounters a woman who lives in the swamp that she thinks is a mysterious legend named Mama Weeds. The woman has a clothesline hung up with her family's clothing. I also tied on a purple ribbon for Osceola's ribbon that Ava wraps around her wrist. 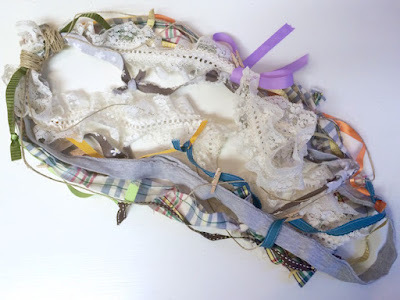 The lace represents Hilola Bigtree's wedding dress. I even included a piece of fabric to represent Louis Thanksgiving's the shirt." I made these earrings. 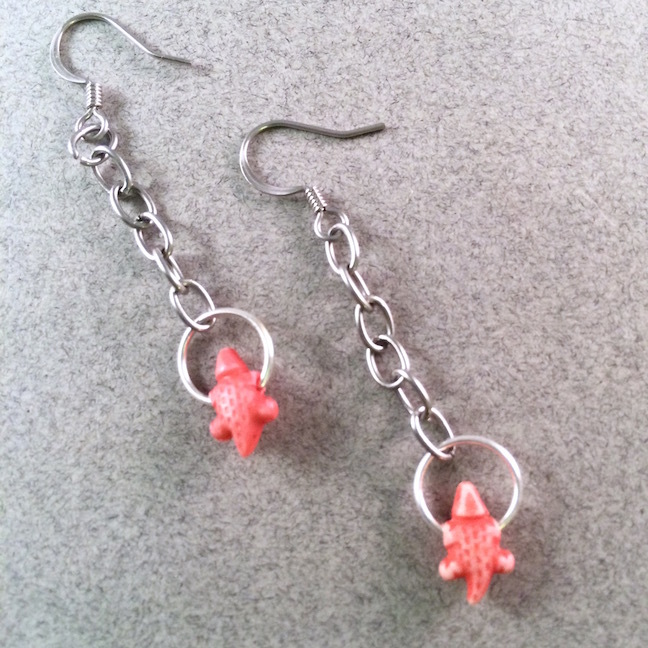 I had these little plastic alligators in the shop and they came in red, which was perfect! Ava, one of the characters in the book, keeps a red alligator as a pet. I thought that the earrings were too simple, so I also made this necklace. I selected green as my main color, to represent the lushness of the swamp. I added wire-wrapped dangles to embellish a length of chain. From the chain, there's also an alligator charm and a whistle. The whistle is something that the Bird Man uses to control the birds, and summon Ava. 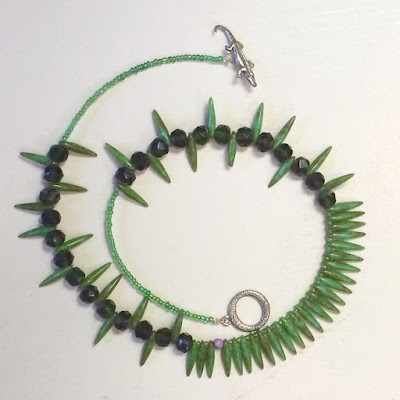 Since the necklace has to be long enough for the wearer to bring the whistle to their lips, I opted not to include a clasp and just extended the length of emerald chips so that it slips over the head. I was charmed by the feel of the writing and abundant detail. I even liked the hero's quest and how it parallels the journey into adulthood. It reminded me a lot of other hero stories, like Aeneas going into the Underworld or Odysseus traveling home. I also really liked the progression into magical realism. But what I didn't care for was the snap back into reality and of course when characters you care for end up suffering. Violence against children always bothers me. I know that real life doesn't always have happy bows to tie everything up, but the reader in my craves those happy endings or at least when bad guys get their comeuppance. All in all, I would recommend it to others. Nancy made this necklace. 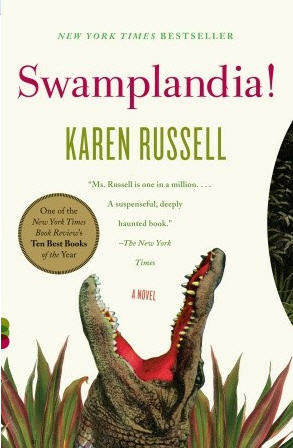 Here's what she had to say about it: "Swamplandia! offered a view of a despotic, dysfunctional family existing in debt, denial and depression. I had a tough time getting into the story and spent the early part of the book wondering where it was going. The author's writing did captive with lyrical descriptions of the salt marsh and swamp. I did think Ossie recounting Louis Thanksgiving's story to Ava was clever writing. Since I enjoyed the natural world of the story, I focused on that for my design. 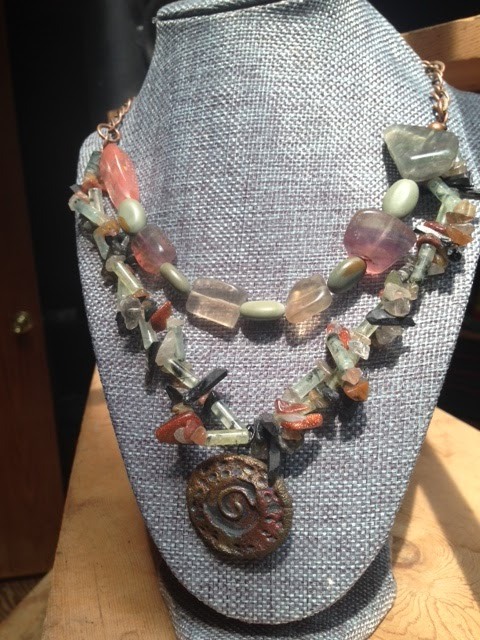 I used a focal by Marianne Kasparian of Maku and a selection of gemstones and natural stone to represent the primordial fecund swamp world. I wanted it to have a tribal vibe." Nancy also made this piece. "I also did this quick collage exercise with school-aged kids for library summer reading. Everyone brought a few items to represent their book selection and with the (limited) supplies, we created a collage in 15-20 minutes. It was fun!" Marie made this necklace. Here's what she had to say: "I loved Swamplandia!. Karen Russell's writing just glows. The reader really sees the world through Ava's and Kiwi's eyes. So many vivid images suggested jewelry to me: Hilola's perfume bottle... a bracelet? Trailing swamp orchids... a necklace? Or a pendant based on this phrase: "you could float the outcome of your battle into the air over the stadium, like a balloon." My favorite line in the book, and the one that really encapsulated it for me, was near the end: "Mothers burning inside the risen suns of their children." Ultimately I decided to make a sort of abstract sun pendant, something that would suggest an intense flame, the sun's rays, and the colors of a vibrant dawn. I used a gold ceramic donut, a wavy lampwork disk from Mermaid Glass, some Swarovski fire opal crystals, hammer bronze wire, a bit of hand-dyed silk ribbon, and Vintaj chain." 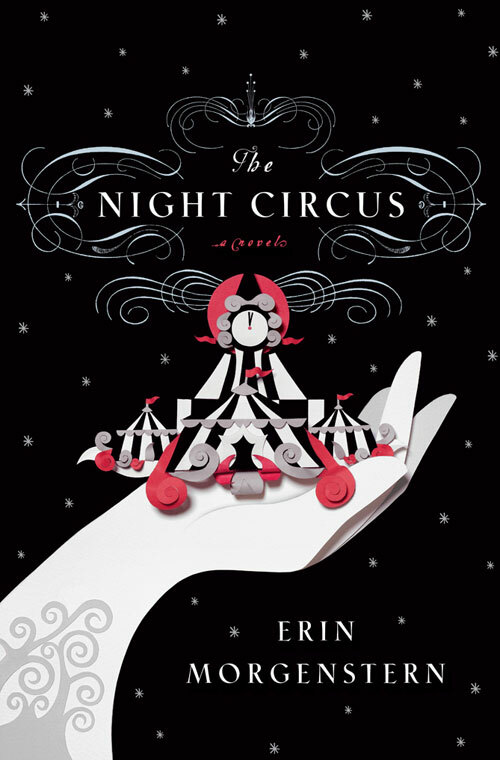 "The Night Circus" by Erin Morgenstern is up next for the August selection! CLICK HERE to see the full list of books for this year. 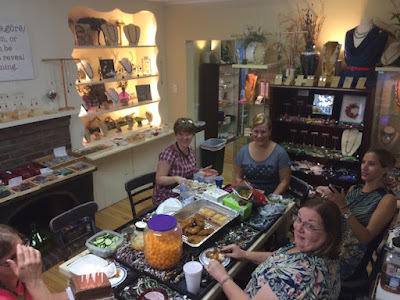 The in-person meet-up is tentatively scheduled for August 26th with the blog hop on the following day. If you're interested in keeping up with what we're doing, CLICK HERE to visit our Facebook page. It's a closed group, so you'll have to request to join. Hope you're play along! Each and every one of the pieces are just fabulous!!! So different from each other and so expressive of the book. It has been such a pleasure to look at them over and over and enjoy the book through these folks' eyes. The get together looked like so much fun. And everyone's creations were so unique. I think that is one thing I like about this group: the fact we all read the same thing, but create such different things. 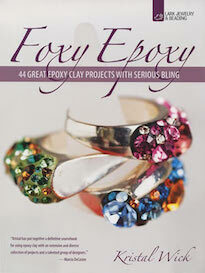 I loved the alligator clasp in Amy's piece and the colors she used. Dawn's jade dragon fits in with alligators so well. I think Terri's alligator teeth are fabulous. Laura's fiber necklace was so imaginative. Andrew's red alligator earrings are so fun, and his necklace is so full of texture that I would love to see it in person. Nancy's piece really evokes the feeling if the swamp. Marcia's piece is so symbolic. Thanks Andrew for creating this group. Andrew: Thanks for a fun night! Your earrings were so perfect. 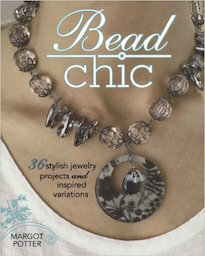 I don't know when you have time to do all you do... and somehow you fit in another necklace for the book! Its lovely! Amy: Your necklace is splendid! The spike look is perfect to represent the alligators. Dawn: YAY! Your necklace is so impressive! The gator/dragon is perfect! Terri: Brilliant to make your own alligator teeth! It's very impressive! Laurel: Clever idea and it turned out to be a delightful necklace! I love all the components that make up the necklace! Nancy: Exceptional necklace! It really does remind me of the swampy history of Florida. I LOVE your one sentence summary! 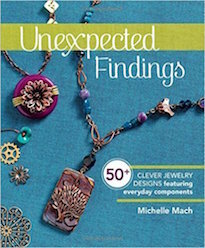 Marie: That one line is captivating for sure, and you did it justice with your wonderful necklace! Can't wait for next months meet up and hop! I don't know which I enjoyed more - Andrew's narration or the amazing pieces y'all made. Every one of them really speaks to the book and Florida. I loved all these pieces and the way they represented different aspects of the novel. Amy, your piece is perfectly evocative of alligators, and also of sawgrass! I love the composition, and the placement of the one tiny purple bead. Dawn, the wood grain and bone tones of your beads form a perfect scaffold for the jade dragon, and yes, it does suggest a nascent alligator! Terri, LOL! So clever. The teeth look very real, but I bet they smell better than gator breath! This absolutely would be perfect for their gift shop. Laurel, Mama Weed’s clothesline for sure! The colors look great together, and the tiny clothespins are genius. Andrew, the earrings are droll – the gator beads look like little pink flowers, until you get a close enough look… The necklace makes me want to touch it… except the whistle. I don’t want to touch the whistle! ;-) I think you captured the colors of the everglades so perfectly. I especially like the yellow flowers, the stacked jade (?) chip units, and the different green hues and textures of the pearls. Nancy, I love the tints and sheens of the stones, how they’re composed, and how they complement the focal. Gorgeous. Hosting this group looks like a lot of work; but what an intriguing venture! Andrew, thank you so much for including me! I'm so happy to get back into the book club. It's great, so thank you for that Andrew. I love Amy's necklace. It's perfect right now to the purple bead for Ossie and the wonderful clasp. 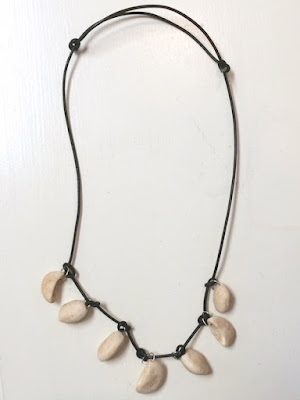 I love that Dawn was able to not only make a pretty necklace from the inspiration, but also recycle and revive something to give it new life. I really love the bohemian style of Laurel's necklace. It's got me doing some thinking about something of my own! But I also appreciate how it refers so well to an interesting part of the book. I liked the Mama Weeds story and really wanted to know more about her! 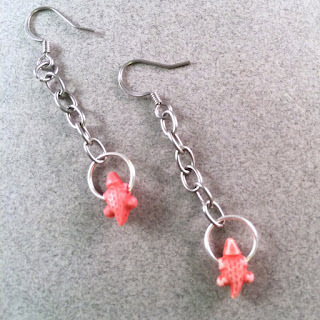 Andrew's red alligator earrings are so cute. I really wanted to do something related to the red seth because it was something good that Ava really loved, but it didn't work out for me, so I'm glad to see it here. I love the look of the necklace with the whistle and all the charms. 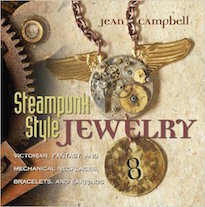 Honestly, this is a necklace I would totally want if I saw it in a store, but this book pushed my buttons in a big way and it was so hard for me to separate the images (for example, the whistle) from the terrible things they were involved with. 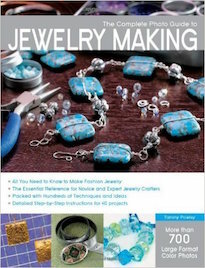 Nancy's necklace is beautiful and really succeeds in showcasing her inspiration. The collage is so fun! I love that she used it for a summer reading project with kids. Reading is such a gift. Marie's necklace is lovely and her inspiration so different. I feel like I missed out on some of the beauty of the writer's language because I had a hard time getting past the plot elements. It's really good to read the different perspectives of the participants to help me see some different things. This is absolutely not a book I would have finished reading if not for the book club, but I'm glad I did. I appreciate hearing the different things people got out of it and seeing all the lovely things created in response. Thank you, Andrew, for creating and hosting and you and everyone else for sharing!! Andrew, the earrings are droll – the gator beads look like little pink flowers, until you get a close enough look… and the necklace makes me want to touch it… except the whistle. I don’t want to touch the whistle! ;-) I think you captured the colors of the everglades so perfectly. I especially like the yellow flowers, the stacked jade (?) chip units, and the different green hues and textures of the pearls. P.S. Nancy’s collage: What a great idea! It captures the book perfectly, all dark with a humorous edge. Great way to promote the book! So many fun projects...they are all great! Love Amy's necklace with the green spiky beads and the gator clasp. Terri, you crack me up with your unbrushed alligator teeth! Andrew, you may think the earrings were too simple, but they are just perfect. So cute! I love that Nancy made a cool collage too... it's always fun to see when people do something other than jewelry.